About Us « Middletown Ceramic Tile Co. Thank you for choosing Middletown Ceramic Tile Co. Looking for the best in the superior quality tile, ceramic tile, granite and marble installations? Visit Middletown Ceramic Tile Co. and experience the difference. Middletown Ceramic Tile Co. has been providing New England with the best selection of ceramic tile, granite and marble since it was established in 1960. We are a family owned-and-operated business that takes great pride in our workmanship. It does not matter if the job is large or small; we have the knowledge, top-quality service, experience and expertise to tackle it. High-quality work and 100% customer satisfaction in our services and products is our top priority. • Installation of all ceramic tile and stone. • Custom baths and showers. • Repairs, restore old mud work showers, re-grout showers and restoration. Accessible handicap showers. America with Disabilities Act (ADA). Custom: Showers for elderly and disabled, independent living showers, handicap grab bars, private residences, retirement facilities and wheel chair accessible showers. For the best professional installation of tiles and ceramic tiles in Connecticut, call Middletown Ceramic Tile Co at (860) 347-2821 for a FREE estimate. Showroom hours available by appointment. 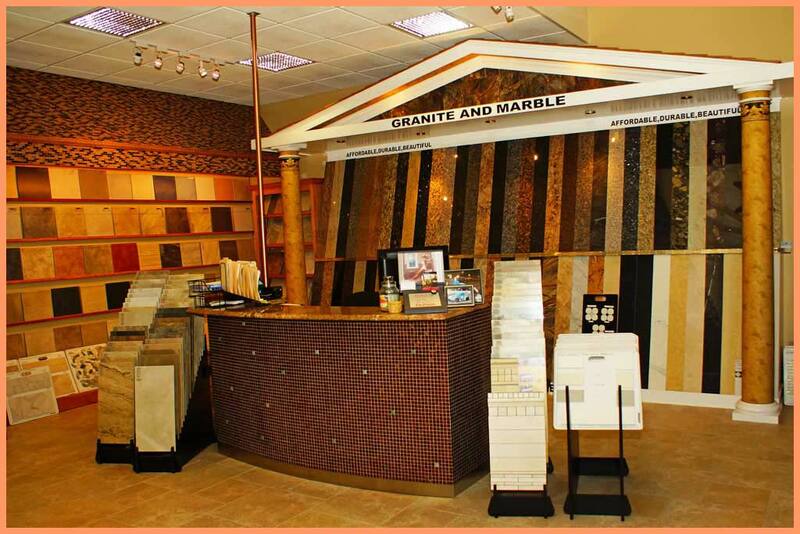 Looking for the best in the superior quality tile, ceramic tile, granite and marble installations in Connecticut? Visit Middletown Ceramic Tile Co. and experience the difference. Call (860) 347-2821 for a FREE estimate.